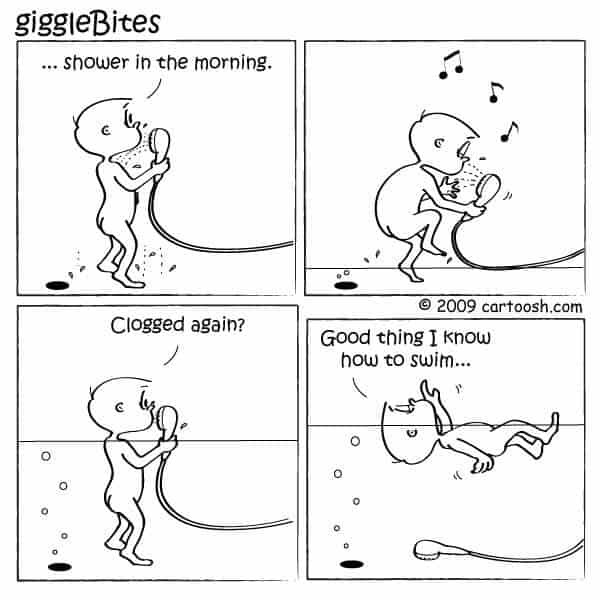 Very cute cartoon, but a clogged shower drain is definitely not that much fun. 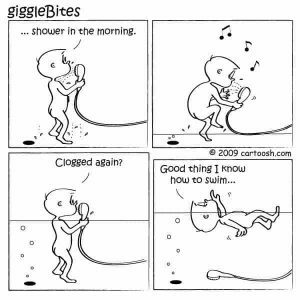 Usually a drain clog in the shower means that after a few minutes in the shower you realize that you are standing in a puddle of water. So you think maybe something is covering the drain catch and preventing the water from flowing down the drain. So you try and remove whatever it is from the top of the drain catch and then wait a few minutes. So then after a few minutes you find that you are now standing in a couple of inches of water and you better get out before you need to start swimming. 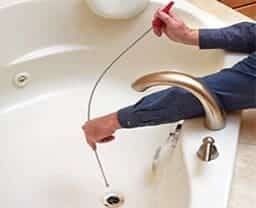 The best thing to do is to call a NJ plumber or NJ sewer cleaning company right away to check the drain clog and provide NJ sewer cleaning services. 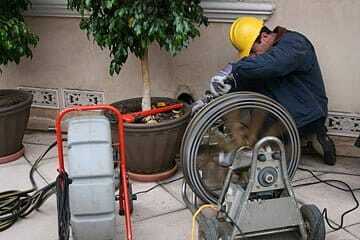 We are a long time NJ plumber available for sewer cleaning services any time night or day! 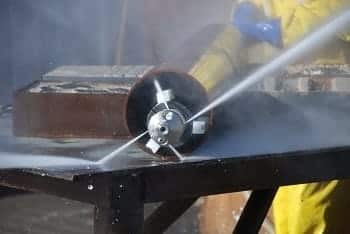 Give us a call if you need immediate emergency sewer cleaning in NJ. At A1 Sewer & Drain Services, we are sewer contractors hawthorne nj and provide professional sewer and drain cleaning in north NJ. 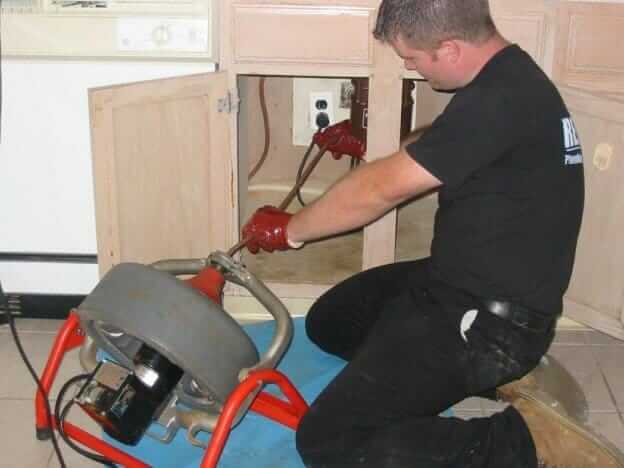 To find out more about quality sewer services in north NJ, call us anytime at A1 Sewer & Drain, at 201-645-0888.